Jülich is Professor at the Department of History of Science and Ideas at Uppsala University. She is the recipient of The Swedish Research Council Distinguished Young Researcher Grant. 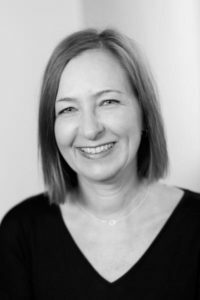 After earning her PhD in 2002 she was Senior Lecturer at the undergraduate program Culture, Society, Media Production at Linköping University. Jülich was Assistant Professor, funded by the Swedish Research Council, at the Department of Literature and History of Ideas at Stockholm University from 2006 to 2010, and then Senior Lecturer in History of Ideas at the same department. Her fields of interest include the history of medicine and biomedicine, the visual and material culture of medicine, and medical humanities. Past projects include an analysis of the Swedish mass x-ray survey for tuberculosis during the post-war period and a study of the making of the iconic images of embryos and fetuses by Swedish photographer Lennart Nilsson. Among her recent publications are articles in journals such as the Bulletin of the History of Medicine, Social History of Medicine, Media History, and Culture Unbound. This subproject investigates the embryological collections of the Tornblad Institute for Comparative Embryology at Lund University, from the early twentieth century up to the present. It is a collaboration with artist Malin E Nilsson, which combines historical and photographic perspectives on the institute with a focus on its collections of human and animal embryos and fetuses. A central argument is that an analysis of the materiality and fate of the collections of the Tornblad Institute can help shed light on charged notions of what human embryos and fetuses are, their purported uses, meanings and places. • With Malin E Nilsson, Embryologiska rum: Historier kring Tornbladinstitutets samlingar, Göteborg: Makadam, forthcoming 2018. • With Malin E Nilsson, “Embryologiska rum: Historier kring Tornbladinstitutets samlingar”, paper presentation, Teknik- och vetenskapshistoriska dagar, Lund University, April 15–17, 2015. This subproject explores the uses of human fetuses in the research and development of new contraceptives and methods for termination of pregnancy, and the conflicting meanings and effects that fetal research gave rise to. It focuses on the prehistory, planning and funding of the WHO Research and Training Centre on Human Reproduction that was launched at Karolinska Institutet around 1970. A central issue is the role of the media in making fetal research public, how the so-called perfusion studies of aborted fetuses were framed as controversial, and the consequences for developing national and international ethical guidelines, ethical committees and legislation. • With Jesse Olszynko-Gryn, Eira Bjørvik, Merle Weßel and Cyrille Jean,"A historical argument for regulatory failure in the case of Primodos and other ‘hormone pregnancy tests’", Reproductive Biomedicine & Society Online, vol. 6, 2018, 34–44. Full text. • “Medicine at the borders of life: Human fetal research in Sweden, c. 1960–1971”, paper presentation, History of Science and Technology Days, Linköping University, Norrköping, September 20–22, 2017. • “Medicine at the borders of life: Human fetal research in Sweden, c. 1960–1971”, paper presentation, European Association for the History of Medicine and Health, Universitas Medicinae Et Pharmaciae Carolus Davila, Bucharest, August 30- September 2, 2017. • “Informed consent? Reproductive research and research ethics in Sweden, ca 1950–1970“ (title in transl. ), paper presentation, Swedish Historians’ Meeting (Svenska historikermötet), Mittuniversitetet, Sundsvall, May 10–12, 2017. • “The rise and fall of the fetoplacental empire: Human fetal research in Sweden, ca 1960–1971“, paper presentation, American Association for the History of Medicine, Nashville, Tennessee, May 4–7, 2017. • “Primodos and Duogynon in Sweden”, paper presentation, The contested history of hormone pregnancy tests, Buckingham House Lecture Theatre, Cambridge, January 27, 2017. • “The rise and fall of the fetoplacental empire: Human fetal research in Sweden, ca. 1950–1970”, paper presentation at the international workshop Abortion in the Nordic countries: New historical perspectives, approaches and issues, Uppsala University, October 27–28, 2015. • Medical humanities in practice: Challenges and opportunities, Uppsala University, Sweden, February 8–9, 2018, co-organized with Anna Tunlid (Forum for Medical Humanities). Read more (in Swedish). • History of medicine today and tomorrow, Karolinska institutet, Stockholm, Sweden, October 2, 2017, co-organized with Eva Åhrén and Motzi Eklöf. Read more (in Swedish). 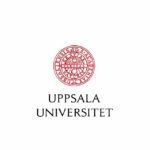 • Evidence-based medicine, methodology and boundary work, Uppsala University, 24 October, 2016, co-organized with Francis Lee and Morag Ramsey. Read more (in Swedish). • Medical humanities at Uppsala University, Uppsala University, 14 April, 2016, organized by Solveig Jülich and Francis Lee. Read more (in Swedish). • Abortion in the Nordic countries: New historical perspectives, approaches and issues, Uppsala University, 27–28 October, 2015, co-organized with Lena Lennerhed (Södertörn University).